On a day to day basis, you probably don’t pay any mind to the light bulbs you have scattered around your house. But when you consider that lighting can affect your mood, your productivity, and even your sleeping habits, investing in a smart lighting system like Philips Hue starts to make a whole lot of sense. 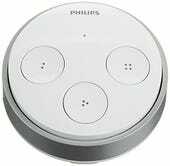 The starting point for most new Philipe Hue owners is going to be the standard starter kit, which includes three bulbs and a bridge to control them for $200 (or less, when there’s a deal). I would recommend starting out by replacing every bulb in a single room with Hue, and extras will typically set you back $60 each. Huemote (iOS) -This is the fastest app I’ve found for simply dimming your lights, and turning them on and off. OnSwitch (iOS/Android) - OnSwitch includes tons of preset lighting scenes, including several animated ones. You’ll find everything from simulated fireplaces and passing clouds to cocktail lounge lighting and disco strobes. Lightbow (iOS) - Lightbow allows you to download and create your own lighting scenes, and includes an almost overwhelming array of options. If you don’t mind fiddling, this is probably the most powerful Hue app out there. Hue Pro (Android) - This includes lots of customizable lighting options for Android users, and even the ability to make the lights “dance” to whatever music is playing in the room. IFTTT (iOS/Android/Web) - While not a Hue-specific app, you can use IFTTT to tie your lights to any number of other web services. For example, IFTTT turns my lights turn blue whenever Duke is playing a basketball game, and turns on my porch light whenever I pull into the driveway. Standard Hue bulbs are all well and dandy, but to fully realize the possibilities of the ecosystem, you’ll want to check out the company’s other lighting products. 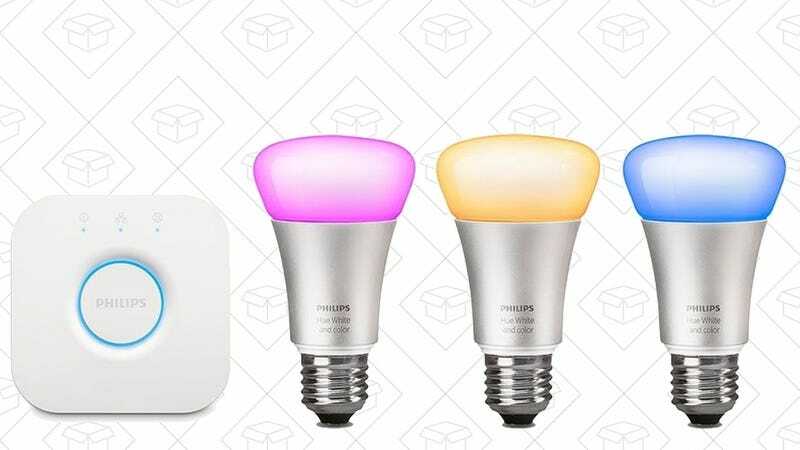 Hue White - At $15 each, these bulbs only glow white, but you can still control them from your phone. A new version is due out later this year that will be able to shift color temperature throughout the day, but we expect those will cost a bit more. 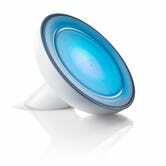 Hue Bloom - Unlike the bulbs, the Hue Bloom is a fully functional lamp on its own. It performs best when turned towards a wall, which allows you to “paint” an entire side of your room in color. 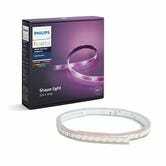 Hue Lightstrip - The Hue Lightstrip can adhere to any surface, including baseboards or the underside of cabinets, creating a nearly invisible accent light. You can even add extensions if the included 6' isn’t long enough. 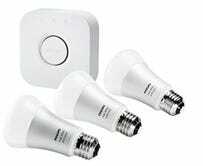 Hue Tap Switch - If there’s one downside to Hue, its that it essentially renders your light switches obsolete. Luckily, you can replace them with these stick-anywhere tap switches, which include four configurable buttons. 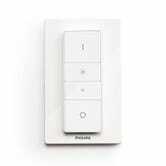 There’s also a cheaper, less configurable dimmer switch available. It probably goes without saying that this isn’t a cheap hobby, but LED bulbs can last for decades, and you can slowly accumulate new lights and accessories as they go on sale. 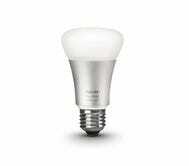 As always, keep an eye on Kinja Deals for all the best deals on Hue products and more.